Stunning 4 bed/2.5 bath home sitting on over 2 acres, with 2600+ sq ft, built in circa 1905-1910, and updated in recent years. 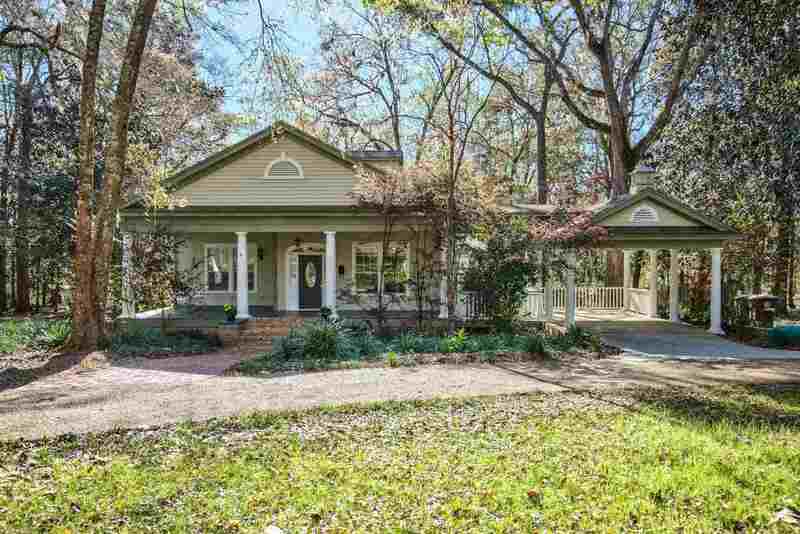 Enjoy your wrap around covered front porch, rooms with views, carport, three fireplaces, large kitchen with granite counters, and many nooks and crannies. New HVAC in 2017, has on demand hot water heater. Versatile floor plan with two bedrooms down and two up, plus sunroom with separate remote control heat/AC. Original wood floors and crown molding throughout most downstairs areas, new carpet in upstairs bedrooms. Country living yet close to schools and shopping. Sq footage is estimate.